We talked with Ian McClarty, President at phoenixNAP - a global IT services provider offering security-focused cloud infrastructure, bare metal, dedicated hosting, colocation, and specialized Infrastructure-as-a-Service (IaaS) technology solutions. HOSTSEARCH: Ian, thank you for giving us an opportunity to talk with you today. Can you please tell us about your background? IAN MCCLARTY: I have been with phoenixNAP since we incorporated in 2009 and started the build process, which took about 10 months to finish. In 2010, we opened our flagship data center with the initial vision to become the network access point (NAP) for the Phoenix Metro market. We accomplished that goal early on, so we decided to expand to new markets and products. We’ve grown greatly as a company since then and I have been trying to keep pace with the company’s expansion by continually improving my professional skills. I hold a Global MBA from Thunderbird School of Global Management as well as a MBA from Keller Graduate School of Management. My bachelor degrees are in information technology and electronics engineering. As the president of phoenixNAP, I oversee our company’s expansion through the development of new products, services, and technologies. I also work to foster partnerships with global IT leaders and to add new global points of presence. IAN MCCLARTY: As a global IT services provider, phoenixNAP offers a variety of data center solutions in over a dozen of locations across the globe. We specialize in security-focused cloud, virtualization, and dedicated server deployments, as well as in providing availability solutions and managed services. Our service portfolio and technical expertise in multiple fields enable us to offer customized solutions to organizations of different sizes while taking a personalized approach with every business we work with. We are also dedicated to IT innovation and we actively work with global industry leaders to develop new technologies and make enterprise-grade solutions available on an opex model. Some of the recent examples of our efforts in this respect include the launch of our Data Security Cloud, a secure cloud platform developed in collaboration with Intel and VMware, as well as the implementation of AWS Direct Connect in our flagship facility in Phoenix, Arizona. 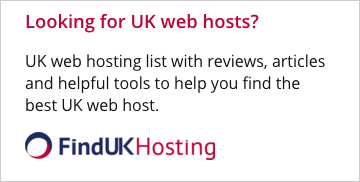 HOSTSEARCH: What products and services does phoenixNAP offer? IAN MCCLARTY: Over the years, phoenixNAP has developed different managed services and security solutions that complement our portfolio of cloud and dedicated server products. Today, we offer colocation, hardware-as-a-service, dedicated servers, public and private cloud solutions, managed cloud, security solutions, as well as backup, restore, and disaster-recovery-as-a-service. Our close partnerships with the world’s leading hardware and software manufacturers also allow us to provide our clients with the latest technologies and solutions available on the market, from pure IaaS to SDDC and DRaaS solutions. HOSTSEARCH: I noticed you mentions about AWS Direct Connect. Can you tell us more about it? IAN MCCLARTY: The addition of AWS Direct Connect to our flagship data center in Phoenix, Arizona, was one of our major achievements last year. Amazon selected phoenixNAP as the only AWS Direct Connect location in the region. This allows us to offer private, dedicated access to Amazon cloud services. This is a unique offering that can help our clients operating in regulatory and compliance driven sectors achieve their privacy and security goals. HOSTSEARCH: Can you please explain the Virtual Private Data Center (VPDC)? What are the advantages to the customers using this service? IAN MCCLARTY: VPDC is a very popular solution among our customers as it enables them to quickly scale storage, compute, and network resources. It is a multi-tenant cloud platform that we developed to respond to the demand of businesses who need the highest level of platform flexibility and security but that may not necessarily have in-house IT teams or the resources to develop and maintain it. In that respect, VPDC complements our clients’ IT strategies, as we provide the platform and management resources for them, while they retain full control over their data and applications. 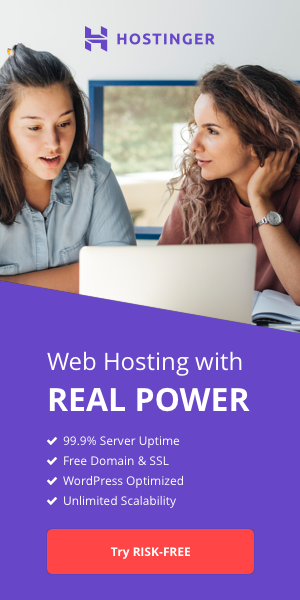 HOSTSEARCH: What hardware and network are you using? IAN MCCLARTY: On the hardware side, we work with the several major hardware manufacturers such as Intel, NVIDIA, Micron, Supermicro, and HPE Nimble Storage. Our network equipment is mainly from Arris, Arista, and Extreme. All these are companies with whom we developed a great relationship over the years. HOSTSEARCH: We understand that you also offer Veeam Cloud Connect? How would you describe your relationship with Veeam? IAN MCCLARTY: Veeam Cloud Connect is a part of our backup and recovery offering that we have been delivering in partnership with Veeam for years. As a long-term Veeam partner and this year’s winner of the Veeam Rising Star Cloud & Service Provider Partner of the Year Award, we have extensive experience and knowledge in implementing and managing the service. We offer it to our clients on flexible payment models and provide them with all the setup and management resources they need. Depending on their needs and platforms, they can choose to backup and replicate their critical workloads to our clouds using Veeam-powered technologies in order to achieve their availability goals. HOSTSEARCH: What is the benefit to the users who are using your Cloud Services? IAN MCCLARTY: One of the greatest benefits we can offer as a company is the variety of solutions and services our customers can use to build a customized IT platform. They can combine colocation or dedicated servers with a specialized disaster recovery solution, get a fully managed private cloud, or build hybrid environments using our global platform. We are also globally present with 15 data center locations, so we can help companies reach different markets. Our team provides 24/7/365 support and personalized consulting to ensure all the needs of our clients and partners are met. On top of that, our reliable global network provides them with top notch connectivity, while our security solutions provide robust data protection and are ideal for compliance-sensitive workloads. HOSTSEARCH: phoenixNAP already offers a broad range of services. What do you have on tap for the future? IAN MCCLARTY: IT is a dynamic field and we continuously evolve as a company to meet our customers’ demands. Our next steps are directed towards a further global expansion and a greater security empowerment for our clients. We are opening three new data centers in the coming months, and we are expanding our security services product line with new features while simultaneously strengthening it to enable businesses that work with us to stay abreast of new developments in cybersecurity. By further growing our strategic edge locations and our robust network, we aim to offer continuous support to our growing number of global and local clients, fully addressing their security, compliance and scalability needs.